Hi there, sorry for not posting since Sub Pop Week. Hopefully, you have had enough time to listen through the mix. I’m going to keep this short, but just in case you live in a shell and didn’t hear, Andrew Bird’s new album, Armchair Apocrypha, came out yesterday. It is, by far, my favorite album of his to date. It is also going to be one of the best albums released this year. I discussed the album back in a January post when I first heard it and fell in love with it, but have since then fallen even more in love with it. If you want to stream the album, I’ve got the inside scoop of where you can hear it–AOL’s Spinner— scroll the albums at the top, and you’ll see it. Also, if you get a chance to check out his new site, it’s pretty neat. While you’re at it, he’s currently on tour so check out if he’s coming to a city near you–a friend was kind enough to get me a ticket for the Chicago show, so hopefully I’ll make it to see him. Be sure to support Bird by purchasing this album. Listen out for tracks Simple X, Heretics, Plasticities, and Cataracts. All songs are great, but these are probably my four favorite. Have you guys heard the album yet? What are your thoughts? Favorite tracks? If you want all the tracks from this mix, you can download as one file HERE instead of using “save link as” for each individual song. This mix took me literally 5 years to get up on the site, so please let me know what you think of it. The mix starts out rockish, and then quickly progresses into mellow listening. Okay, so I finished listening to Drums and Guns last night, and can officially say I love it. The softcore album has more minimalist arrangements than The Great Destroyer, yet still produces plenty of noise. You’ll hear background hi-hats, screeches, and other varieties of static. The album has a quiet, dark quality to it. With Alan Sparhawk on vocals, and his wife, Mimi Parker backing up, Drums and Guns has a slow tempo feel. The vocals make for an interesting listening experience, with lyrics revolving around death, war, and in general, bad things. A few of my favorites on the album include Dragonfly, Always Fade, Murderer, and Breaker. This album is Low at their best. Again, the album releases next Tuesday. Be sure to pick up a copy. 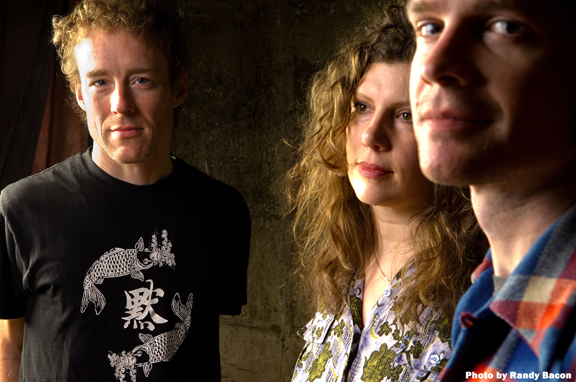 Low, from Duluth, Minnesota, formed in 1993. 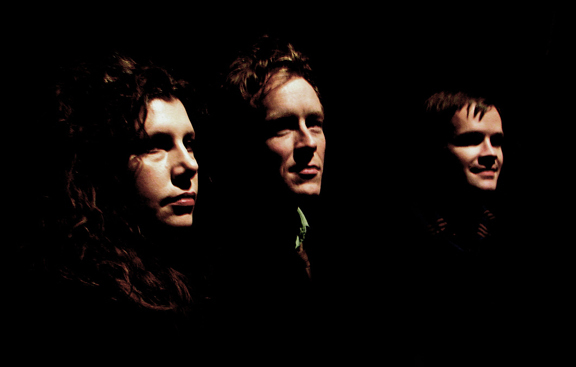 Featuring Alan Sparhawk on vocals and guitar and Mimi Parker on vocals and drums and Matt Livingston on bass and vocals. Sparhawk and Parker are married with two children; they first met in fourth grade in rural Minnesota. Livingston, the latest addition to the band, replaced longtime bassist Zak Sally who previously replaced original bassist John Nichols. As said in the last post, this is Low’s eighth album release, second for Sub Pop. Low is known for their impressive live shows, and have performed their new songs in different forms. Has anyone yet heard the new Low album, Drums and Guns, coming out next Tuesday? If you did grab onto an advanced copy, what are your thoughts? I’m actually listening to it for the first time as we speak. I’m currently on Dragonfly, working my way down. So far (from the 30% of the album I’ve gotten through) I’m digging what I’m hearing. Breaker is a great song. Tomorrow, expect a Low: Part Deux Post, after I’ve had a chance to listen to to the album in its entirety. I’ll post more thoroughly on Low, and will also try to get up a post on another artist. If you pre-order the new Low album by March 20th, Sub Pop will include a 7” vinyl single of Hatchet (Optimimi Version) b/w Breaker (Dub Plate). These are different, completely re-worked versions of the songs found on the album. Get more info and order HERE. The Pernice brothers are now on their own label, Ashmont Records, but before that, they released their first Pernice Brothers album on none other than Sub Pop Records. The album came out a while ago, in 1998 to be exact, and is entitled Overcome By Happiness. I have always loved the first song on the album, “Crestfallen.” Overall, the Pernice Brothers music is great to just lay back and relax to. The bands melodies, beats, and vocals are non-offensive . Their “bad” songs are neutral, far from bad, and their good songs are music at its finest. As with Dolorean, Wilco’s new album, Sky Blue Sky, reminds me of the Pernice Brothers pop, alternative rock sound. Be sure to check out the bands site linked below to hear album streams. The Pernice Brothers started after Joe Pernice decided to call it quits with his previous band, Scud Mountain Boys (also Sub Pop.) Wanting to stray away from the bands country sound, Pernice started the Pernice Brothers with his brother Bob, guitarist Peyton Pinkerton from the New Radiant Storm Kings, bassist/producer Thom Monahan, drummer Aaron Sperske, and pianist/producer Mike Deming. 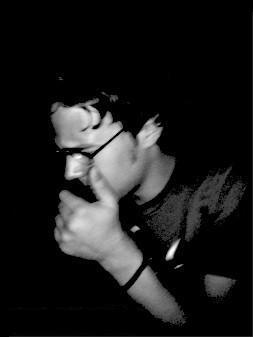 After releasing Overcome By Happiness on Sub Pop, the band took a 3 year hiatus and Joe played solo under the name Chappaquiddick Skyline (Sub Pop too.) In 2001, the band reunited and released their less orchestrated sophomore album, World Won’t End, on their own record label. Since then, there have been some lineup changes, and the band has released several albums including, Yours, Mine and Ours (2003), Discover a Lovelier You (2005), and Live a Little (2006). Did you know Isaac Brock, lead singer of Modest Mouse and Ugly Casanova, worked for Sub Pop as a scout? Yep, he introduced Sub Pop to some great acts, including The Shins, Iron and Wine, Wolf Parade, and Holopaw. It’s a real shame Holopaw’s name hasn’t gotten more out there, because they are worth everyone’s listen. In my opinion, their 2003 release is better than their 2005 release, Quit +/ Or Fight. 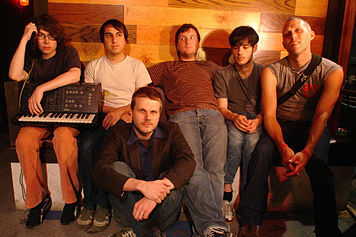 Holopaw is John Orth, Michael Johnson, Jeff Hays, Tobi Echevarria, and Ryan Gensemer. Just days ago the band announced the addition of bassist Jeff McMullen. Holopaw got their name from the town Holopaw, Florida, even though none of them are from there. They are actually from Gainesville, FL. The band didn’t play much out, and it was never in their head to get signed–they just played for fun. Things turned around, when oddly enough Isaac Brock moved to their town, dating a local girl he met on tour. The band happened to be playing a gig with some other bands, and Brock heard their stuff. He really liked what they were doing, and that’s when he invited Orth to help him with Ugly Casanova. By that time, Brock had moved back to the Northwest, but he flew Orth out several times, and Isaac wanted to start a label and sign Orth to it. After realizing he wasn’t going to start the label yet, Brock passed Holopaw on to Sub Pop. 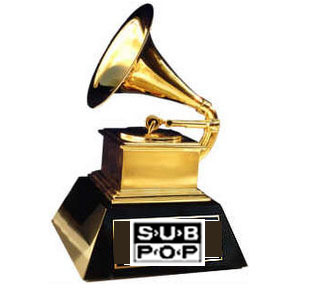 Sub Pop is my favorite record label, so it’s only right to make them the first record label featured. Do you guys have any favorite Sub Pop artists? In 1986, Bruce Pivitt and Jonathon Poneman started Sub Pop Records in Seattle, WA, after meeting each other in a mattress store and decided to jointly release the debut EP from Soundgarden, Screaming Life. At Sub Pop, they like to think of these as the “early years,” as during this time, the label was known for their participation in the grunge movement. Throughout the 90’s, the label went through some changes and rough times. 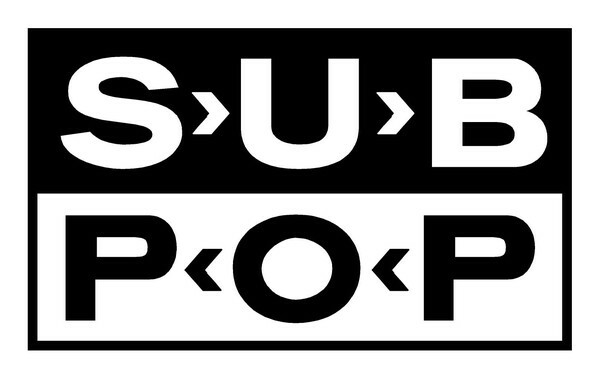 In 1995, facing bankruptcy after some of their bands went to bigger labels, Sub Pop sold 49% of the company to Warner Music. A year later Pavitt resigned to spend more time with his family. The label is stronger than ever before, and they have more money to be able to treat their artists better . They are a leading label in the indie/alternative rock scene, and have grown as a label through highly successful artists such as The Shins, Postal Service, Iron and Wine, where should I stop? In fact, it was just announced that Poneman has launched another label, Hardly Art. They currently only have one signed band, Arthur & Yu. The Hardly Art label will be run by Sarah Moody. Recently, I’ve posted several covers and remixes , so I decided why stop there. Over the past few weeks, I’ve been liking Tobias Hellkvist’s cover of Efterklang’s song “Step Aside.” Efterklang is a Danish band I know absolutely nothing about. Tobias Hellkvist is a Swedish artist, who likewise, I know absolutely nothing about. So to sum up, some Danish band named Efterklang wrote a song entitled “Step Aside,” and some Swedish musician named Tobias Hellkvist covered the song. I know a little bit about Tobias Hellkvist. 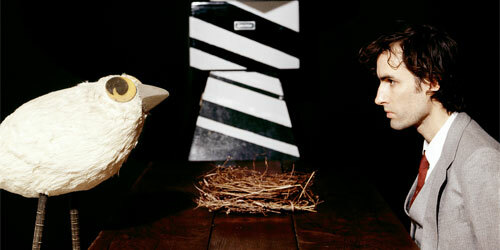 He is 22 years old, and an avid Efterklang fan. He is from Malmö, Sweden, and the picture above is probably of him. Tobias is currently making a full cover’s album (not just of Efterklang), and also working on another album under the alias Ghosty Head. He made an album with his friend, Helene Allman, and their band name is Tobias Helene (don’t you like where their thinking was?) All I really know is that I like this cover. 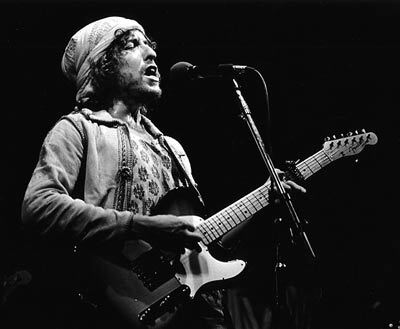 What’s Your Favorite Dylan Song? I’ve been listening to Bob Dylan’s music more now than ever before. Just curious, what’s your favorite song (if you can pick?) Perhaps you can even divulge why it’s your favorite. I know it’s hard. But you are stranded on an island with nothing but your iPod. It has just enough juice for one more song. No, you can’t pick Justin Timberlake, for everything deleted off your iPod during the crash, except for every Bob Dylan song ever produced. For me, I’ve got to say “Mr. Tambourine Man.” I don’t really know why it’s my favorite Dylan song though, it just hits me. In this case, no cover can do this song justice. OK Go is at it again. If you haven’t seen this music video yet, watch it. It will blow your mind.